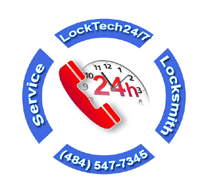 LockTech24/7 Mobile Locksmith Service can either reach via email or a phone call. Please call us for a top quality of emergency locksmith services, or message us to set up an appointment. Due to our emergency locksmith services, we are open 24hr, so you can contact us at any time, day or night. Together with our full line of automotive, commercial, and residential locksmith services, you have found the leading locksmith company in Allentown and the Lehigh Valley. To begin with, you can send us an email, as well as call our local or free toll phone number. We are only one phone call away to solve your lock and key issues, not to mention to get you back on your day. Don’t hesitate to contact LockTech24/7 for a free estimate and free consultation. Our qualified locksmiths are available 24 hours a day, 7 days a week. Despite the pressure and lack of sleep, we love what we do… locksmithing, and in like manner, helping people. In order to provide you with a quick emergency lockout service, give us a ring. Despite the late time and the cold night, we will be right on the way to help. If you rather schedule an appointment, you can contact us via email filling our contact form. When you contact LockTech24/7 through our website, please send us a detailed email, describing the service you need. With this in mind, please don’t forget also to include a phone number for fast response, in addition to our excellent customer services. The experts at LockTech24/7 Locksmith provides professional locksmith services of all kind. Because we provide fast service and charging affordable prices, customers repeating calling us every time they need our locksmith services. Furthermore, helping customers to get out of all kind of emergency locksmith situations make us feel great because we love helping our local community. Our mobile locksmith shop is well-stocked and maintained with a state of the art of tools, equipment, and locking hardware for the purpose of having the job done, for the first time. No matter how big or small is your locksmith need. Those tools make our job easier, and that allows our locksmiths to be quick when they perform service on site. Not only we are ready and able to answer all of your demands, but we are doing it with a big smile, in the hope that we will see you again. As a result to our excellent customer service, the first thing to remember is our reputation stands well, and our customers’ ring is still growing every day, yet, on the other hand, we have room to everyone. What makes LockTech24/7 difference from another locksmith company? Our 24/7 emergency locksmith services cover you from automotive lockout to business lockout, as well as lock repair, key extraction, and car key made. 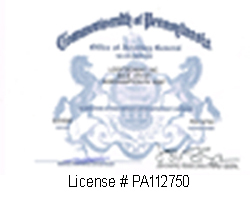 In like manner, and for your convenience, we cover the entire Lehigh Valley, and the surrounding areas. Don’t hesitate to call LockTech24/7 when you want fast emergency locksmith service. Considering our wide range of automotive locksmith services, you can rest assure that we have you covered from auto door unlocking to auto keys replacement, as well as key fobs and remotes. In addition, we also provide ignition lock repair service for most car and models. When you contact LockTech24/7, you know your car is in good hands. We provide residential locksmith services while we focus on the security of your home and the safety of your family. Here are only few of our wide residential locksmith for your home. Contact LockTech24/7 in a time of needs for Residential locksmith services. When it comes to the security of your business, we come to work on your doors within 20 minutes of your call. In case one of your locks our punick bars fail to work, contact LockTech24/7, as soon as possible. As can see, if you are dealing with LockTech24/7, you deal with professional locksmiths. In the long run, You save your money, as well as saving your time, and you get peace of mind that whatever are your locksmith needs, you definitely get fast service each and every time. All things considered on this page made our reputation and reliability. In regards to our excellent customer service, we are here to listen to your opinion, as much as we like to solve your lock and key problems. With this in mind, we’re happy to answer any question, you may have. In short, not just we love what we do, but we also love to help our customers. Under those circumstances, you can be sure that your satisfaction is 100% guaranteed. As soon as you call LockTech24/7 for the first time, you would not look for another locksmith company again. You can count on that! You can also program our phone number, at the same time to your mobile phone. In case you need an emergency locksmith service, you can have our phone number handy since you want a faster locksmith service, anytime in the future. In the meantime, and by all means, we hope that you have enjoyed reading our website.